I’m sure there is not a single person in the reborn community that has not heard of The Twisted Beanstalk. With a simply breathtaking range of fantasy dolls. The artists imagination really knows no bounds. 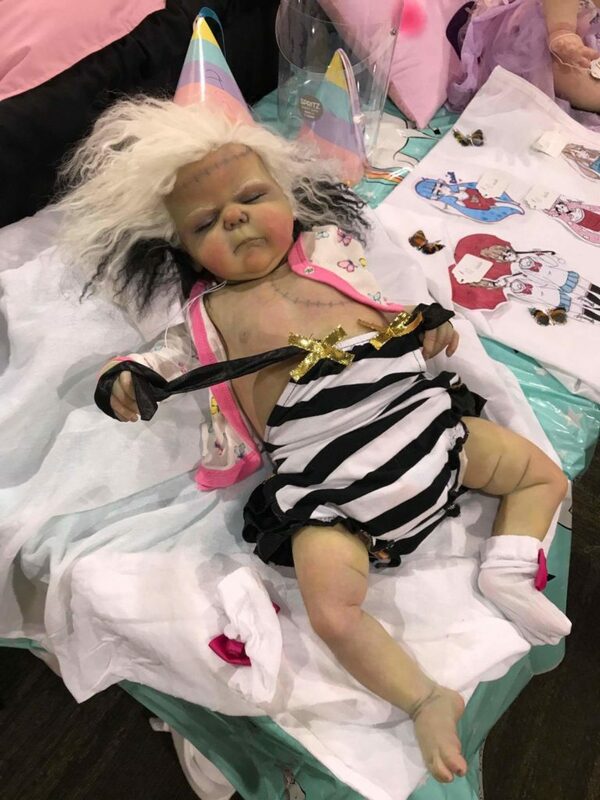 So it should come as no great shock that their booth at the Rose Doll Show was a fabulous display of the weird and wonderful in the best way. Artist Shanine Giasson certainly has an eye for detail and a flare for the theatrical which comes shining through in her work. 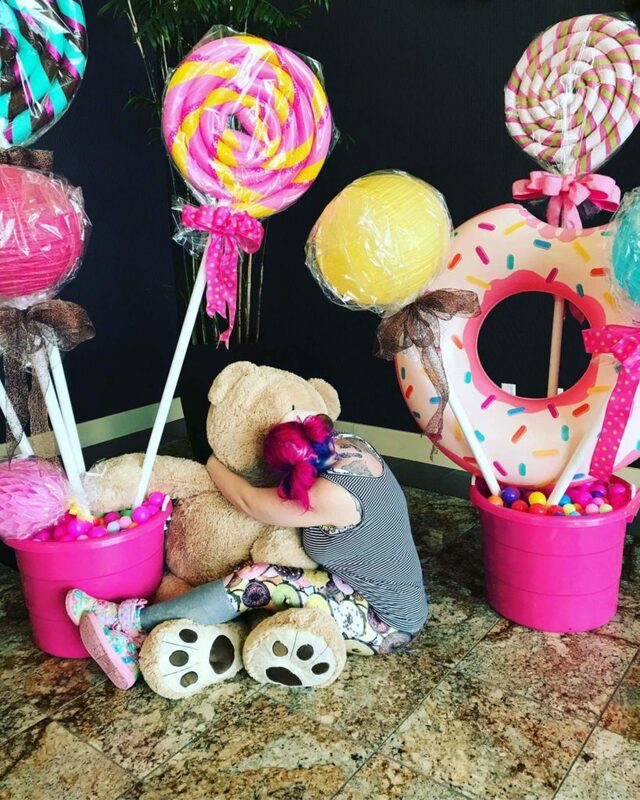 Her experience at this years Rose Doll Show was simply amazing. She had the ability to light up each room she entered and to brighten up everyones day. With people even compairing her to Unicorns and claims that she spreads glitter. Not a bad comparison if you ask me. But it does go to show the type of positive presence that Shanine has. I have had the absolute pleasure in talking to Shanine and I have to say that her personality comes through just in the conversation. 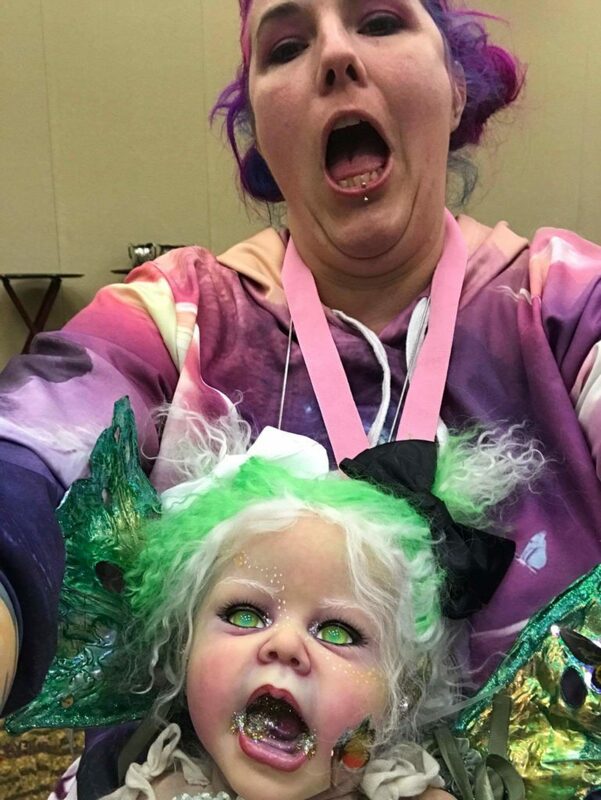 So I asked her for her thoughts on the Doll Show, of which she had a few. 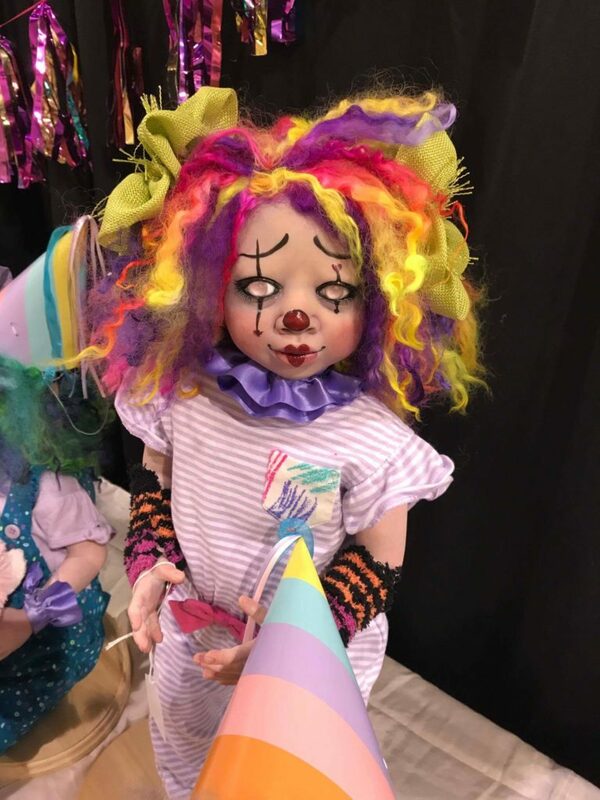 ” The Rose show exceeded my expectations, incredibly well run, fun, exciting, and best of all it paid off in the end as I sold 7 dolls. To start of the week I taught a fantasy class to amazing girls. We literally laughed all day long! That to start set the mood right there! Over the years I have attended many shows and I have to say I’m the most excited already for Rose 2018. I loved the crowd, loved meeting new people, loved all the artists, loved all the artwork and enjoyed myself so very very much. The contest babies WOW!! And guess what, I brought home 2 wins. 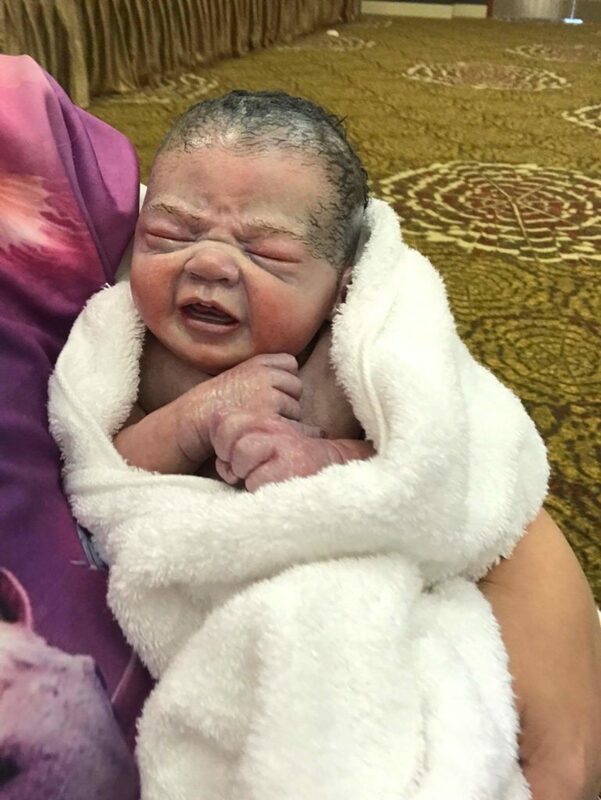 I couldn’t get enough of showing off my winner “Hello World” an extreme painted newborn freshly born. The reactions to him were fulfilling in so many ways! Rose show just ignited something in me I haven’t felt in a while…just what the dr ordered! I left fulfilled, excited, exhausted and best of all Triggered to ALL ready start prepping for next years show! With my plans to attend next year fingers crossed with finances allowing, I can’t wait to be able to stop by Shanines booth and say hi. Also it goes without saying to admire her work and you just know I won’t be able to walk away empty handed. 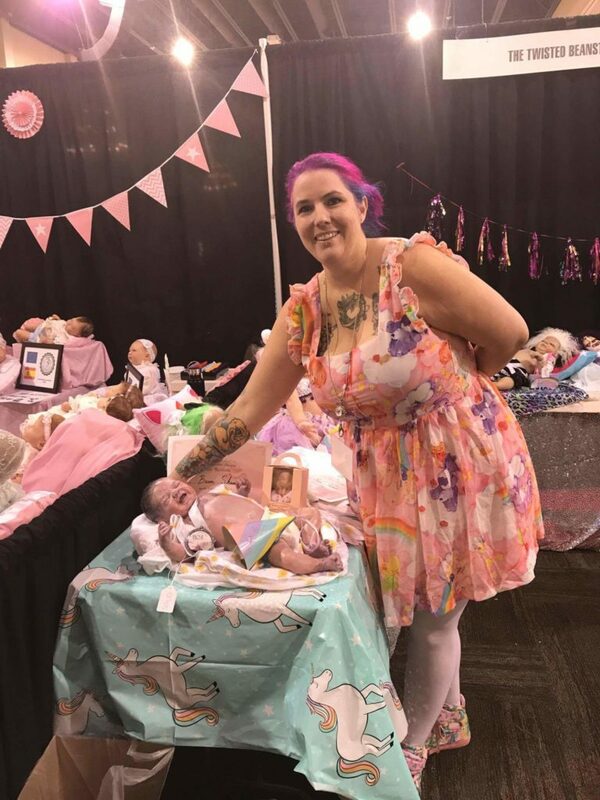 Her fantasy babies are such a unique and awesome take on the reborns that I don’t see how anyone could not be truly amazed at them. Shanine is also hosting a fanasty painting class next year which promises to be as much laughter as painting, this is one event I would dread to miss out on. It brings out so much more the fun behind the hobby. Everyone needs that in their life. A day spent with friends laughing would be one heck of a day in my opinion. So if like me you couldn’t attend this year do not dispair, Shanine will be returning , so there is next year to look forward to. Until then I will have to contend with just looking at her pictures until I have the money to own one of her babies. Each collection needs at least one fantasy baby right? 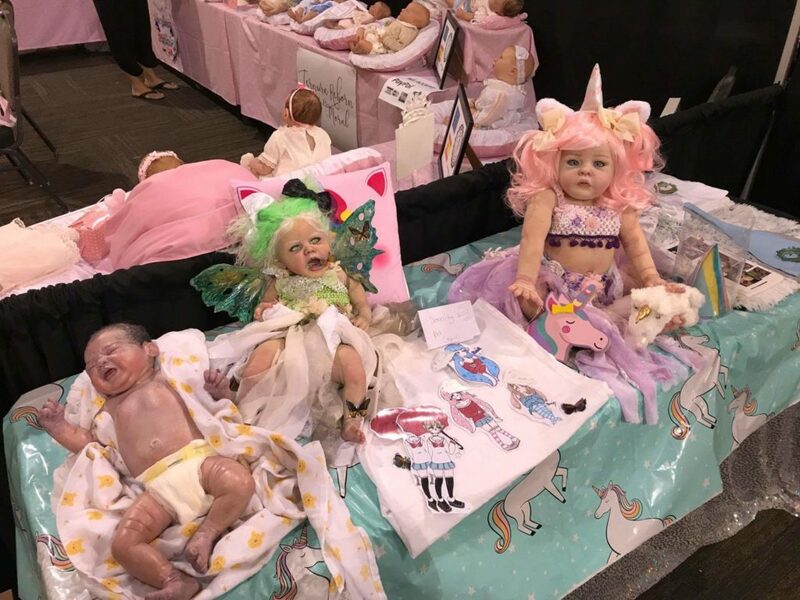 And with Shanines imagination their is certain to be at least one fantasy baby out there for everyone, even the collectors that maybe in the past have not warmed to the fantasy range. I am confident that even they would find at least one baby that they would fall in love with. So until next year we have to use our own imaginations on just what wonderful creations will be available to buy at the Rose Doll Show 2018.